Based on current trends, data centers are expected to consume approximately 73 billion kWh in 2020, becoming nearly flat over the next four years. "Growth in data center energy consumption has slowed drastically since the previous decade," according to a study by the U.S. Department of Energy's Lawrence Berkeley National Laboratory. "However, demand for computations and the amount of productivity performed by data centers continues to rise at substantial rates." Improved efficiency is most evident in the growth rate of physical servers. From 2000 to 2005, server shipments increased 15% each year, resulting in a near doubling of servers in data centers. From 2005 to 2010, the annual shipment increases fell to 5%, but some of this decline was due to the recession. Nonetheless, this server growth rate is now at 3%, a pace that is expected to continue through 2020. 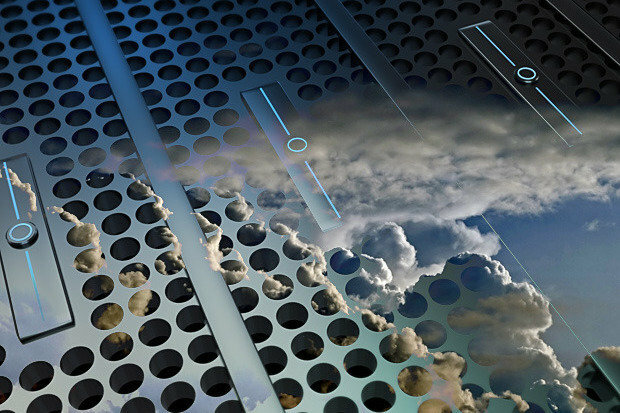 The reduced server growth rate is a result of the increase in server efficiency, better utilization thanks to virtualization, and a shift to cloud computing. This includes concentration of workloads in so-called "hyperscale" data centers, defined as 400,000 square feet in size and above. Energy use by data centers may also decline if more work is shifted to hyperscale centers, and best practices continue to win adoption. "I'm even more optimistic than the study authors and would predict that total energy usage will go down as more IT users transition to public clouds, which not only have the most efficient buildings but through consolidation and elastic scaling reduce the energy per application," said Urs Holzle, Google's senior vice president for infrastructure, wrote in a blog post in response to the study. The shift to mobile devices, which use less power than desktops, will help as well in conserving energy.